Although we may not have had the pleasure of meeting all of you face to face we thought it would be nice if you could see our smiling faces and find out a little more about where we’ve come from and why we love doing what we do! Born in the heart of the Blackforest in Rheinfelden, Germany, Elke has a Master’s Degree in floral design and owned a very successful flower shop in Munich. 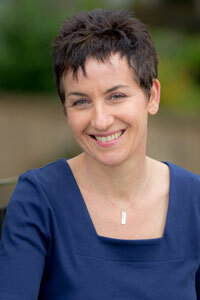 She immigrated to Canada in 1996 and soon thereafter co-founded Botanus. Elke is very passionate about our business and along with her many hands-on skills and marketing genius, she is responsible for most of our wonderful plant photos. She’s also the brain-child behind our on-line Botanus Garden Club. Not only did she spearhead the idea but she is soley responsible for all of the filming and editing-one more thing multi-talented Elke can do! 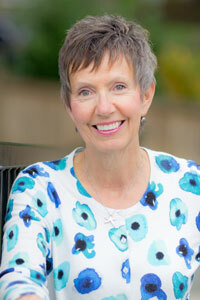 Elke is a non-stop ‘life learner’ who enjoys giving informative presentations to garden clubs. In the spring of 2014 Elke took an intensive bee-keeping course and is the proud keeper (along with Pam) of four happy and healthy honeybee colonies. A skier, kayaker, DIY guru, avid reader and drummer, Elke is a true powerhouse! “Plastic, paper, green waste etc. is all separated. I grew up in Europe and recycling has always been a part of my life. I use a composter and collect rainwater as well." For more of Elke’s gardening insights visit Our Gardens page. A native Vancouverite, Pam’s love of gardening began as a child when she explored her grandparent’s sunken garden - an inviting European-style landscape they had created around their Vancouver home. After graduating from UBC with a Fine Arts degree she pursued an active career in theatre, television and film and then returned to her ‘roots’ when she co-founded Botanus. Pam enjoys all her ‘roles’ at Botanus and she also has great fun tending her bees with Elke. Pam’s flair for the artistic can be seen in all that she does - from creating our catalogues and email newsletters to appearing as a gardening expert on television and radio. She also LOVES being part of the Botanus Garden Club where she gets to have her ‘theatrical’ kick. For the last couple of years Pam has been busily writing her debut novel, Flour Garden, a fun-filled adventure that will especially delight gardeners. Click here to see how you can dig into a copy of your own! Want to find out more about Pam & her garden? Visit Our Gardens page. Wendy is our Customer Happiness Manager and she does does love to make people happy! She has found that over the years many of our customers have become gardening friends and she loves helping them be successful in their gardening endeavors. Her front yard ‘Cottage’ garden gets more exuberant with each passing year and she loves it that way. Her garden has evolved over the past 30 years, with grass disappearing and more flowers and shrubs appearing, but she has never thought of it as ‘work’…just as ‘a work in progress’. 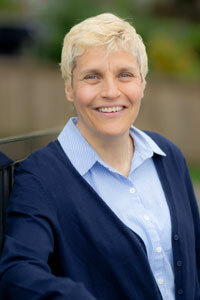 Wendy is an avid Toastmaster and is serving a second year as VP of Education for Langley Club 2743. Toastmasters has been crucial in helping her be comfortable in front of the camera filming the Botanus Garden Club episodes and in the presenations at garden clubs. When she is not in the garden or at a Toastmaster’s meeting she can be found baking, knitting or reading in her cozy little home. "Depending on the season it can be as little as half an hour or it can be from sunrise to after sunset. That’s when I’ve been dragged in by family members worried they might never see me again! If you’d like to read more of Wendy’s insights into the world of gardening visit Our Gardens page.